228.—Saxon Emblems of the Month of February. 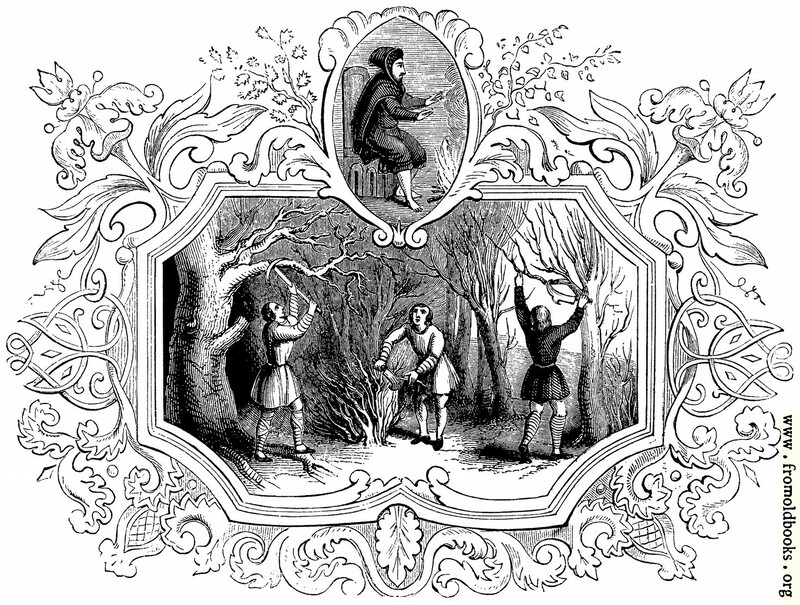 The image shows a man wearing a hoodie, barefoot and bare-legged, warming his hands by a fire. He looks pretty grumpy, too. 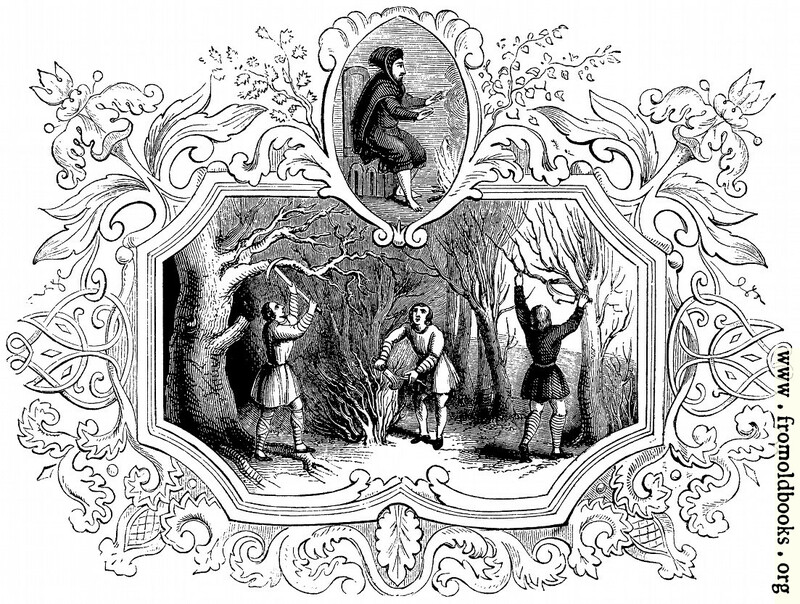 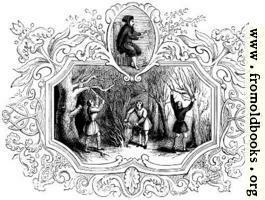 In the main part of the image we see men getting firewood in a dark and gloomy forests, with their axes, as well, perhaps pruning their fruit trees.